Go, Izumi! Slam that pointless drama away! 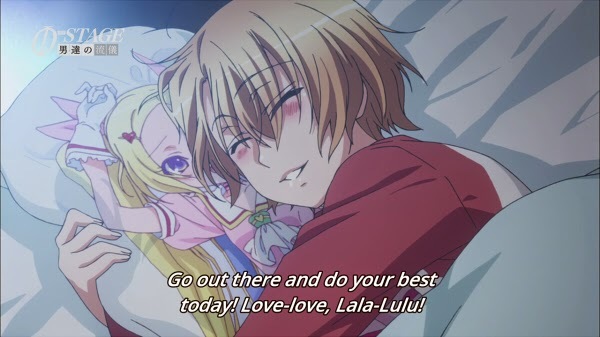 To be honest I would have preferred a full episode of Lala-Lulu than this weird clipshow thing. 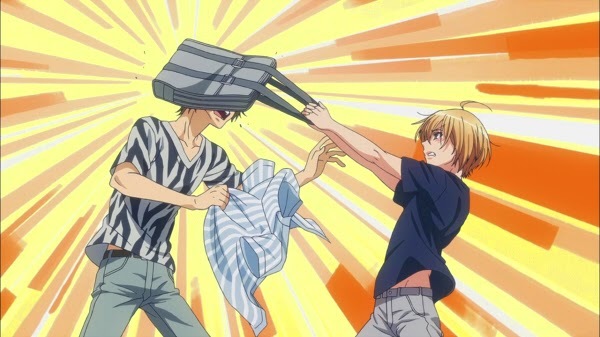 On this week’s Love Stage – hot smurf action. Maybe Izumi should have tried smackjeeves first. Sorry this one’s a bit late, I’ve been a bit busy lately getting everything prepared for SMASH ’14 this weekend. If any Australians are going to SMASH in Sydney this coming Saturday and/or Sunday, both me and my sister will be selling stuff under the circle name MoeMart. Between us we’re going to have a lot of prints, badges, magnets and even paper doll standees from stuff like Free!, Pokemon, Dangan Ronpa, DRAMAtical Murder, Kingdom Hearts, Sailor Moon, Madoka Magica and my own webcomic Southern Cross. Come have a look if you’re going to SMASH! Since I’ll be away a few days, my next reviews will either be late or be posted as batch reviews later, but hopefully I have time to at least watch Zankyou no Terror before I go. Yes, they represent exactly what you think they do. Okay, so I’ve reached a decision about which new series I’d like to blog, and it was a difficult one. In the end…I chose two, which is probably going to be a terrible decision on my part that I will definitely regret but hey, it makes up for me not blogging anything last season. You can see what the other series I picked is later! 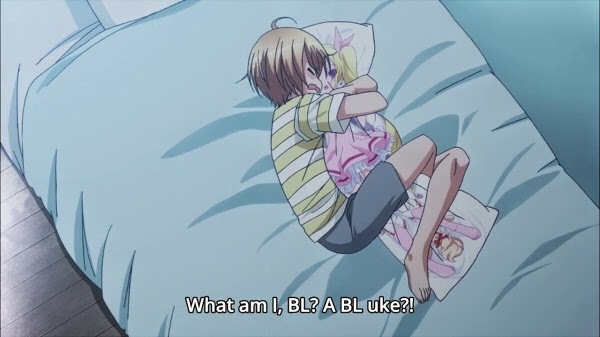 I didn’t actually plan on blogging Love Stage but the show is honestly so much fun.